Arsenal's head of recruitment Sven Mislintat is on the verge of leaving the Gunners after seeing his influence at the club wane over the past six months. The German, who has helped to bring in the likes of Aubameyang to the Emirates, has reportedly decided to call time on his spell in the Premier League. The former head of scouting at Borussia Dortmund had helped Arsenal sign Pierre-Erick Aubameyang amongst others, but it has been decided the German will no longer be responsible for signing new players. Indeed, Mislintat had been brought in to the club by former chairman Ivan Gazidis, but after Gazidis' departure from the club, Mislintat is no longer needed. 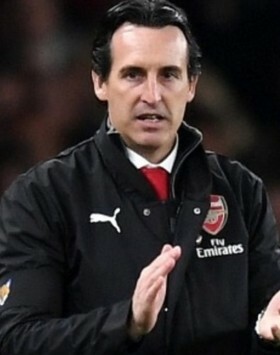 The Gunners are currently searching for a new technical director who will be responsible for recruitment of staff and players and are believed to be close to appointing someone from Spain, a recommendation from coach Unai Emery. 46-year-old Mislintat joined Arsenal in November 2017 and a long-term contract with the club and is said to be interested in a return to his homeland of Germany where Werder Bremen and Wolfsburg are both known to be interested in the former scout's services.